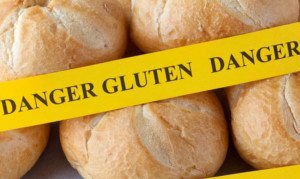 However, many people genuinely cannot tolerate it, even if they don’t have celiac disease. The problem is they don’t realise this, and then live with digestive symptoms as though it’s normal. 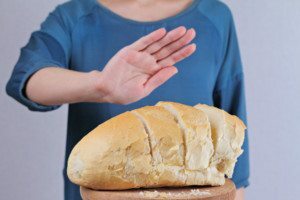 This article looks at the most common signs and symptoms of gluten intolerance. 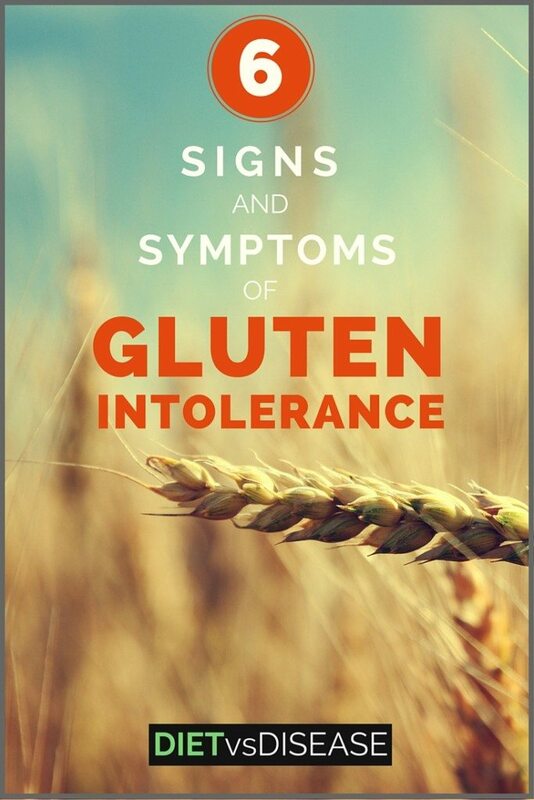 Do You Have Any Signs or Symptoms of Gluten Intolerance? First, it’s important to understand the difference between celiac disease and gluten intolerance. Celiac disease is an autoimmune disease triggered by gluten. Even tiny amounts of gluten will severely damage the small intestine of an individual with celiac disease. On the other hand, gluten intolerance is thought to be a subtle sensitivity to gluten diagnosed after exclusion of celiac disease. It’s said to affect between 0.5-13% of people (1, 2). In the scientific community it’s known as Non-Celiac Gluten Sensitivity (NCGS) or wheat sensitivity. Think of it much like you would an intolerance to FODMAPs. In fact, newer research indicates that we may be incorrectly diagnosing a FODMAP intolerance as a gluten intolerance. Specifically, it really looks like what we’ve thought was gluten intolerance is actually a fructan intolerance (a type of FODMAP). A gluten intolerant (or fructan intolerant) individual can typically eat small amounts of gluten safely, but experiences health issues when their threshold is exceeded. The following are common signs and symptoms of gluten intolerance, after celiac disease has been ruled out. Summary: Gluten can physically damage the small intestine in those with celiac disease. A gluten intolerance, or Non-Celiac Gluten Sensitivity, is a more subtle sensitivity diagnosed after exclusion of celiac disease. An autoimmune disease is the term given when your immune system mistakenly attacks and damages your own tissue. There are more than 80 types, characterised by which tissues or organs in the body are damaged. Gluten intake is consistently linked with numerous types, but whether it’s the cause remains to be seen. It’s influence in Celiac disease is the obvious example, but research indicates gluten likely affects Hashimoto’s hypothyroidism and Graves’ disease, to name a few. Some researchers speculate the potentially negative effect of gluten is to do with the effect that gliadin (a part of gluten) may have on gut health and function (3, 4). In any case, it seems gluten intolerance is more likely in those with an autoimmune condition. Food intolerance (or food sensitivity) is said to affect up to 10% of people. A reaction occurs when an individual’s threshold to particular food chemicals or compounds is surpassed. Anecdotal evidence indicates it is quite common for someone with a food intolerance to also be highly sensitive to gluten. Note that those who don’t tolerate gluten-containing foods (but don’t have celiac disease) should also consider FODMAPs as a trigger for symptoms. Abdominal bloating is characterized by tightness and/or swelling in your abdominal region. It occurs because of excess gas or disturbances in the muscles involved with digestion. In a study of 59 adults with suspected NCGS, abdominal pain and bloating were the top reported digestive symptoms (5). It’s thought that a buildup of gas is the main cause in those who are sensitive after a gluten rich meal. Diarrhea is a common digestive symptom of food intolerance, and potentially gluten intolerance too (6). It isn’t just uncomfortable though, as long term diarrhea left untreated can lead to dehydration and even nutritional deficiencies (7). Skin conditions associated with intestinal diseases are becoming more frequent. New research suggests that NCGS can cause skin lesions similar both to eczema and psoriasis, particularly on the elbows, back of hands and knees. In a study of 17 patients, a gluten-free diet greatly improved symptoms after just one month (8). Research is in its early stages though, and it’s unclear if gluten is a direct cause of these conditions, or simply worsens them. Chronic joint or muscle pain is a common symptom reported in studies of non-celiac gluten sensitivity (9). The pain is said to be like that of Fibromyalgia, a condition which may be improved by going gluten-free, at least anecdotally. 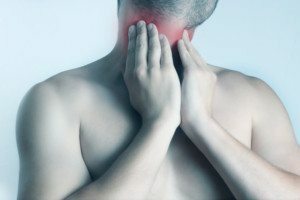 As joint and muscle pain is a broad symptom, only consider it a possible sign if you experience several of the other symptoms. Remember that a gluten intolerance only affects a small percentage of people. That means going gluten-free only has health benefits for a select few. But you may be one of them if you frequently experience one or more of the above signs and symptoms. Always speak with your doctor or dietitian first before making any major dietary changes.